The TT6120 is ideal for delivering transport streams across a wide variety of transport mediums, with the capability to add data piping and service filtering. Just some of the many applications for which the TT6120 is suited include transmitter links, IP and telecom based content exchange and TV distribution. The MA5300D MPEG adapter (Dual PSU) is a high quality MPEG-2 to ATM bridge, offering a simplified system architecture. Based on open standards, the MA5300D has been designed to meet the demanding requirements of post-production distribution applications where multiple transport streams are concentrated or deconcentrated through a single telecom connection over PDH/SDH/SONET networks. The MA5400 IP video gateway is a dense high quality MPEG-2 transport stream to IP encapsulator. 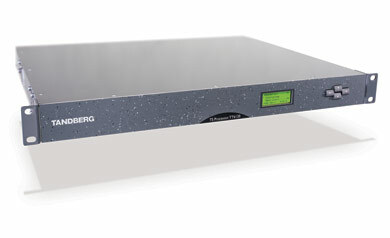 Based on open standards, the MA5400 has been designed to meet the demanding requirements of post-production distribution and contribution applications where multiple transport streams are transported through a single connection over an IP enabled network. The MA5400 can be configured in either transmit, receive or bi-directional mode and enables multiple ASI feeds to be carried over an IP network. 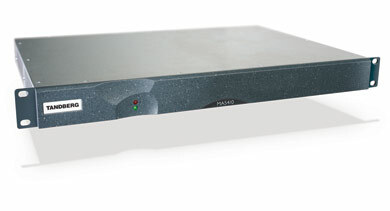 At the receive end, the MA5400 can convert the feed back to multiple ASI streams. Due to the large number of video services an MA5400 can carry at any given time, the product has been equipped with the latest advances in error correction for maximum reliability through the implementation of SMPTE 2022 ProMPEG FEC. 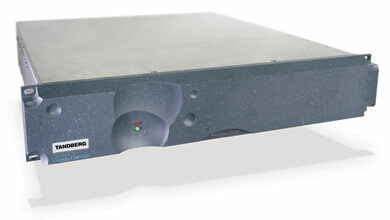 The MA5410 IP video gateway is a high quality real-time SDI to IP encapsulator. Based on open standards, the MA5410 has been designed to meet the demanding requirements of professional broadcast contribution, studio-to-studio distribution and in-house signal distribution over an IP enabled network. The MA5410 can be configured in either transmit or receive mode and enables a single SDI or SDTI feed to be carried over a GigE network. At the receive end, the MA5410 converts the feed back to an SDI or SDTI signal. The MA5410 will carry 10 bit video signal with embedded audio and VBI information and can handle both 525 and 625 video formats. This product has been equipped with the latest advances in error correction for maximum reliability through the implementation of ProMPEG FEC. The state-of-the-art processing power and extremely compact design enable new system architectures to be created allowing content to be freely distributed around a network.